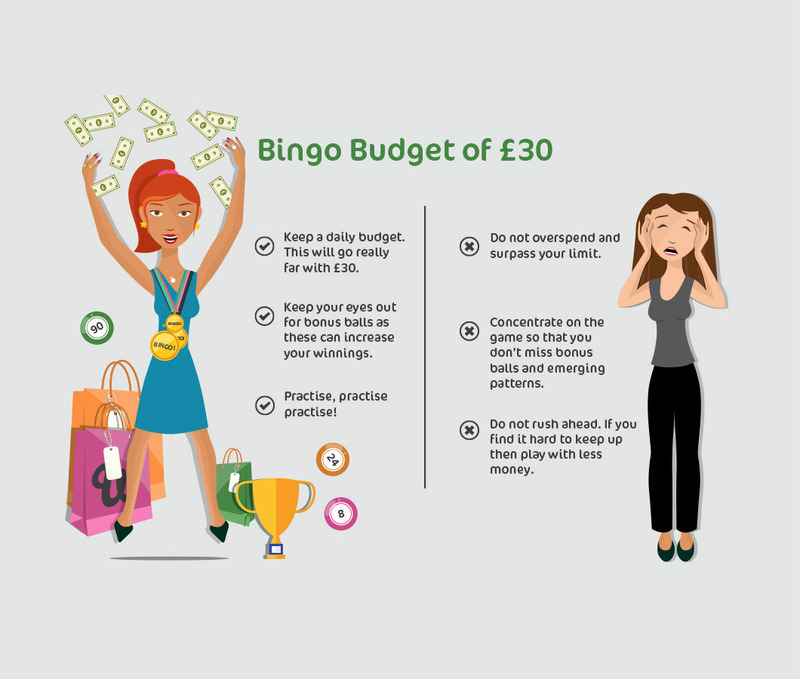 Many of us budget our finances in order to get more spending power…Just as developing a spending budget is important for managing your personal finances, setting a bingo budget for yourself is the best way to harness you’re playing power. In order to do this, you must find the best bingo deals, and experiment with various strategies to help you stretch your bingo dollars. 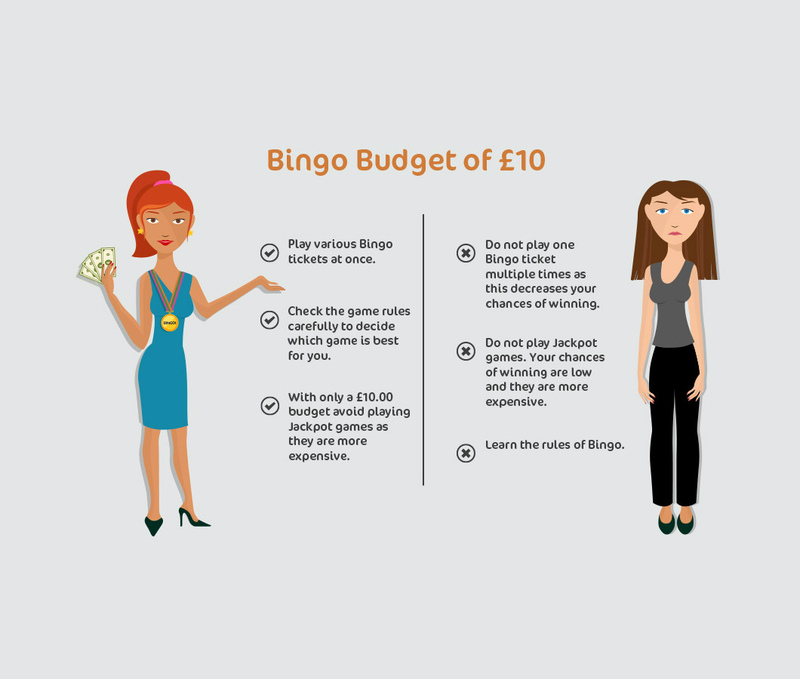 Using a bingo budget each time you play is one of the best ways to earn playing bingo without stretching your budget. This is effective because it allows individuals to use a small budget in order to maximize their earning potential. Therefore,understanding how to develop and manage your bingo budget can be extremely useful. To see the best results from a new budgeting strategy, consider starting with small amounts of £10, £20, £30. Understand the Rules: Developing a bingo strategy is a must for many reasons, but requires work and research in order to do so. By taking the time to prepare a working strategy, you are taking an in-depth look at the game’s pay structure and rules. This is essential for being successful during any game. “Free at fits” strategies are popular budgeting solutions, along with other techniques. 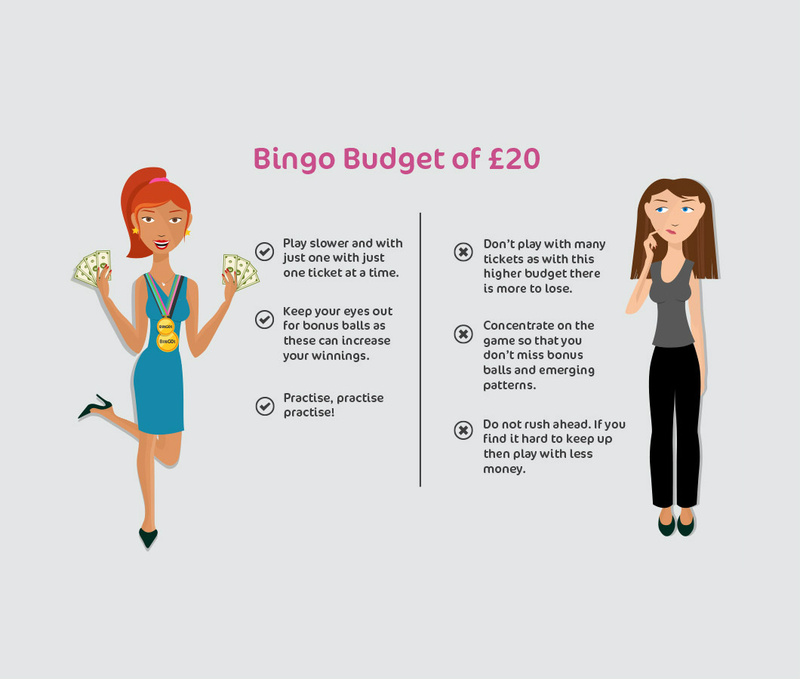 Therefore, if you are a new player in the world of bingo, be sure to take time to make yourself familiar with various budgeting techniques in order to gain an understanding of the game, and maximize your winning potential. Manage your Money Diligently: Proper money management is a key factor for developing a bingo strategy. Without well-practiced money management abilities, even the best bingo strategy would be ineffective. Consider setting a budget limit, and stick to it!When compared to other forms of gambling, bingo is considered a“low-stake” game, however despite this belief, it is still extremely important monitor the amount of money is being spent. While temptation may step in and urge you to place just one more bet; don’t do it. Sticking with your budgeted amount regardless of the day’s luck is imperative for winning money in the long run. The next time you feel the urge to play bingo, try reminding yourself throughout the game that it is just that- a game. Reminding yourself of the fact that it is simply a game you enjoy playing will make it easier for you to step away from the game once your budget has been reached. When playing bingo, it’s important to choose the right strategy for your personal budget. 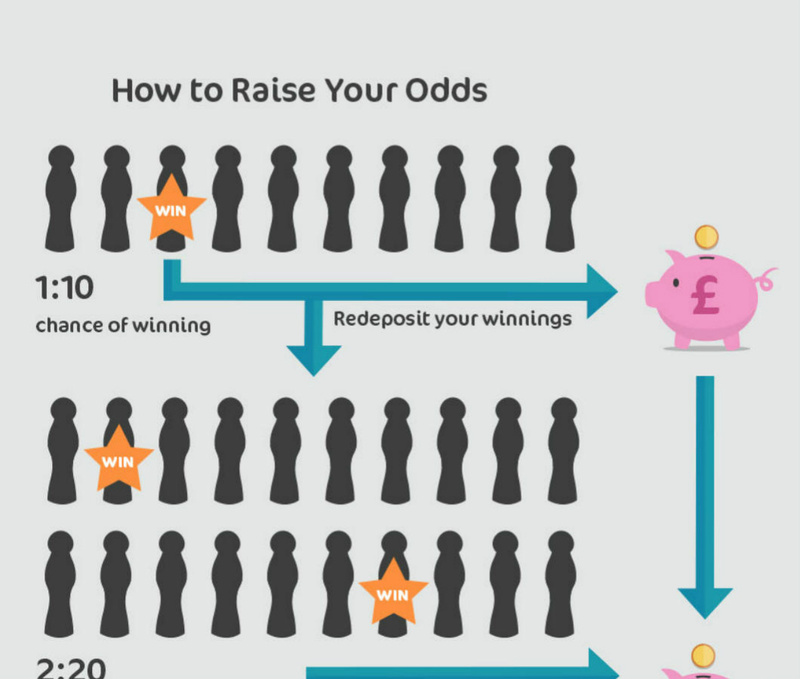 If you’re in it to win it, there’s many useful tips you can use to increase your chances of winning. Sites like jackpotjane bingo give great bingo insights to help you maximize your budget, and get the biggest return. Develop a recurring bingo fund: Making a budgeting strategy doesn’t require a well-stocked bank-account. In many cases, it doesn’t have to require a regular bank deposit. Using a deferred savings plan is an excellent way to transform your earned bingo dollars into a buy-in for an upcoming game. Rather than withdrawing all your savings in order to spend, consider redepositing your winnings into your play account to save yourself a buy-in cost during the next round. This way, your bingo fund essentially supports itself. Raise your odds; play more often. Another component to a successful bingo strategy is developing and understanding a winning ratio. Ratios occur when you have repeated an action often enough to see a pattern. Hence, if you play bingo ten times, and win once out of those then plays, you now have a ratio of 1 win every 10 games. Therefore, you understand that in order to win again, you will likely have to play another ten rounds. Therefore, the more you play; the higher you’re earning potential. Increasing your bingo strategy is difficult if you are a beginner to the game, or simply have limited amounts of time to dedicate to building a strategy. As a novice bingo player, knowing how much to bet, which games to play, and the best times to participate in games at wink bingo dramatically increases your odds of winning. If you are someone without the time or the understanding to develop your own strategic budgeting strategy, keep reading! Using a predetermined budgeting strategy can save time, and eliminate the process of trial and error that almost always occurs prior to being successful. Having a budget strategy therefore will allow you to play with as little currency as possible;while maximizing your earnings. Understand Game Differences: It is important to understand the difference between 75 ball and 90 ball bingo, as this will influence your probability of winning. Therefore when selecting to play with £10, it is important to first check out the game guides for any additional information. Play Fewer Tickets: Instead of playing one bingo ticket multiple times, consider playing various bingo tickets all at once to boost your chances of winning. Additionally, it is important to understand how many tickets are allowed per person. Don’t Play Jackpots: If you have a low budget, avoid playing in the jackpot bingo games. If you’re wondering why, it is because jackpot bingo games are usually much more expensive when compared to standard bingo games. Furthermore, winning the jackpot is a rare event, and the pay out in these games is not as likely. Most £20 players often prefer the traditional 90 ball bingo, because it offers three different ways of winning. However, for others, the 75 ball pattern is most suitable, as it offers a higher pay out. Play Less, Earn More: Play fewer tickets when betting with £20. This is because it can costs significantly more to stack each game with multiple tickets. Instead, consider slow-playing the game, using one ticket at a time. Watch for Bonus Balls: When using £20 as your budgeting strategy, watch out for the bonus balls! Most games normally feature balls of different colours, and hold the potential to double the winning amount or warrant a winning prize. Therefore, with the £20 budget strategy, it is important to look for opportunities that increase the pay out of your single ticket. Track Patterns: Paying attention to pattern is mandatory during this budgeting strategy. Because it can be difficult to keep up with your caller while tracking patterns, be sure to make a conscious effort each time you play to get better at this portion of the strategy. Experience matters: As we stated above, practice is key to becoming a great bingo player. Being able to count and predict numbers takes plenty of time and experience. Don’t be discouraged if you find yourself struggling to keep up with the game; just keep trying. 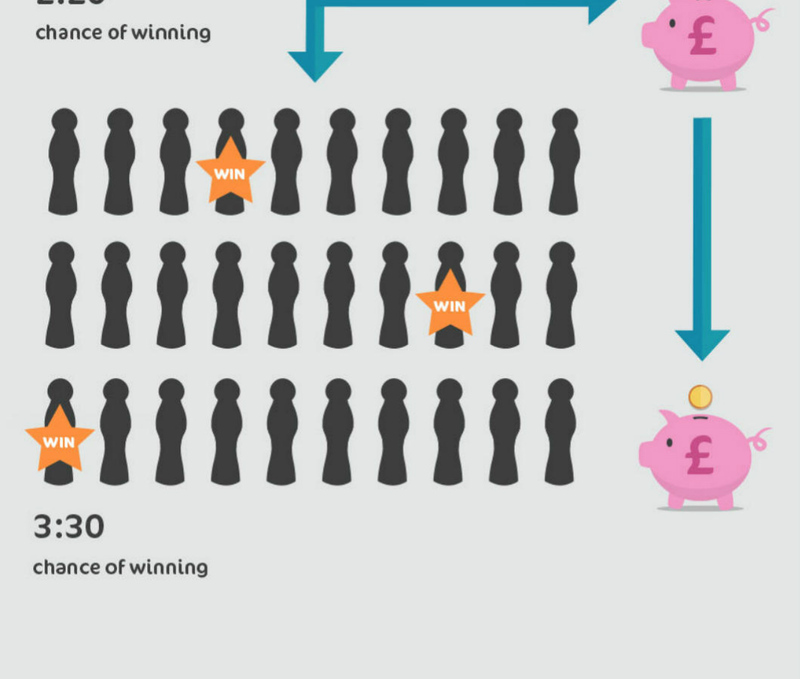 In order to gain more experience, we recommend playing with a £10 strategy to gain experience. Set a Daily Limit: Setting a daily limit is an absolute must when playing with the £30 strategy. There is need for one to remember that bingo is a game full of losses and wins, and it takes quite some time to see what your actual winning amount will be. For example, setting a maximum spending limit of £30 for a certain number tickets will go a long way, and prevent you from over-spending in this high-stakes strategy. Play Fewer Tickets: Playing fewer tickets is a must using this gaming strategy. Despite the fact that 888 Ladies may allow you to play a certain number of tickets (some others even tempt their users by allowing as many as 10! ), this amount is enormous, and could cause you to miss winning opportunities due to the larger number of tickets to focus on. Be Diligent: Be diligent in checking your numbers! For example, if B12 has been called, check the right hand side of the “B” column for the 2, when one is located, look for the left for 1. Know Your Game: Choose your game and location well, and always confirm the rules before playing. While 888 Ladies may have a specific set of rules one week, there may be slight changes to the rules depending on volume, rules, and other factors. It is important to know which time to play bingo is best for you. For example, choosing to play bingo early in the morning means there will be fewer players, and less competition. Using strategies such as this can multiply your chances of winning. Only play bingo if you have developed the right budget strategy for you. Having the right strategy will enable you to increase their chance of winning, and optimize you’re playing power.Additionally, it also enables you to have more fun when playing, because you are no longer worried about over-spending. Essentially, deciding to play with a set number of tickets during a strategically planned portion of the day, and sticking with your budget is the key to winning bingo more regularly. Playing Bingo Responsibly – When is it Time to Stop?